What’s in a name? Well quite a lot it would seem when it comes to dissenting religious movements. Early Quakers called themselves ‘friends of the truth’ but their opponents called them Quakers ‘in scorn’ due to the physical shaking or quaking that represented the outward sign of a process of spiritual crucifixion and rebirth taking place within the individual. The names chosen by groups and those given to them ‘in scorn’ by opponents can tell us a great deal about their spirituality and theology and how they were perceived by the wider society out of which they emerged. Quakers actively chose to be known as ‘Friends of the Truth’, so I want to explore what this name tells us about the nature of the Quaker way. The language of early Quakers was almost entirely drawn from the Bible and so, in trying to assess what the use of the name ‘Friends of the Truth’ has to say about Quaker theology and spirituality, we need to look at a number of key passages from the scriptures that had particular resonance for them. who have a direct and intimate relationship with God - friendship implies divine immanence; being in a relationship with God, involving communion, intimacy, love and commitment. who are taught ‘the truth’ by Jesus – friendship implies a teacher-pupil relationship. Jesus teaches the way of God (the truth) to his disciples (those who follow Jesus as teacher). who accept Jesus’ teachings and put them into practice – friendship implies not just receiving Jesus’ teaching but crucially also putting those teachings into practice. The teaching is worthless unless it is acted on. whose loyalty is to the way of God rather than to the ways of the world – Friendship implies a relationship of loyalty. There is a stark choice to be made because it is not possible to serve both God and the world. who are willing to face death out of love for God and neighbour – friendship implies being willing to follow Jesus in all things including facing the hatred and persecution of the world which may ultimately result in the loss of one’s life. In these passages we see again that being a ‘friend of God’ implies: being in a direct and intimate relationship with God, being willing to listening to and hear what God is asking one to do, being prepared to have faith and trust in God’s guidance and being willing to put God’s guidance into practice whatever the consequences. Therefore in that which is eternal, dwell, as a royal priesthood [1 Pet 2:9], in that which comes from him by whom the world was made; who to all your souls is a Friend [John 15:15], from whence the refreshing is received. So the Lord God Almighty preserve and keep you all, that in his life, dread, and power ye may be preserved. In the second passage Margaret Fell makes a link between the inward transformative power of Christ and the faithfulness of Abraham. Being a Friend of God requires the faithfulness of Abraham who heard God’s call and was obedient to God’s guidance. 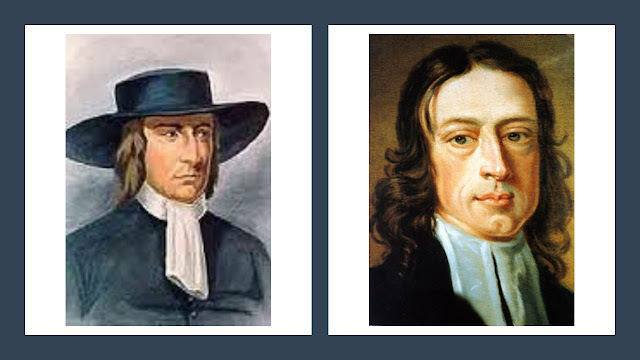 Early Quakers did not choose the name ‘Friends of the Truth’ randomly or because it sounded good. It is clear that this name communicated something quite vital about their experience, their spirituality, their theology and their witness in the world. It spoke of a people who experienced a direct and intimate relationship with God, who felt that they were being taught ‘the truth’ by the Spirit and who recognised the importance of putting these teachings into practice. This implied loyalty to the way of God rather than the ways of the world and a willingness to face persecution at the hands of the world out of love for God and neighbour. This name, therefore says quite a lot about the essentials of the Quaker way even if we tend to use rather different words today. It is not that I consider Early Friends altogether mistaken in their sense of God's demands... but I do feel there is an essential modification that needs to be added. There used to be a poster on a friend's wall, showing a very bratty looking little boy, with dirt and a mischievous smirk on his face. The caption read: "I love him, not because he is good, but because he is my little child." People don't become God's 'beloved' children by obedience. Obedience becomes more natural as we recognize that we are loved. It isn't that God prefers children who sit in rows and do as they're told; but that playing in traffic gets unpleasant for everyone concerned. Thanks for your comment forrest. I think I would want to make a distinction between being love by God and being 'Friends' of God. The first is simply the way things are (God loves us unconditionally), the latter is about relationship. Are we in right relationship with God (each other and the rest of creation) or not? As you say, we need to recognise that we are loved in order to move into right relationship. In this sense obedience is less to do with doing what you are told and more to do with living in the Truth (the way things really are). I think that is consistent with your point. Well, 'relationship' too can become a catchword. It's the right emphasis; but how do you negotiate 'right relationship' with a being who is 'Being'? -- one who is not just bigger, stronger, smarter and wiser than you but knows all your silly tricks from the inside? You can't just go home together and get friendly; there's this long process of seeing what develops. For some reason, Friends have found it much easier to convey Quaker Guilt and The Importance of Being Wonderful -- than "You really can 'know' God without being bonkers. People probably will think you're bonkers but their impression isn't the one that matters; and you can't let their opinion rule you." "The answers are at the back of the book; but that's not what you need to learn!" It seems to me that we are constantly caught between glimpses of the eternal divine presence and perspective and the limitations imposed by the particularity of our place, space, etc. In particular we struggle to express something that is beyond language and human concepts. Early Friends seems to receive a big dose of that eternal divine presence and perspective but in so many ways they remained rooted in the limitations of their place and time. The same might be said for the Eastern Orthodox tradition (which has a lot to teach us nevertheless). The key question remains - what is preventing us from becomign sensitive to this eternal divine perspective and how can we remove these barriers (how can we become broken and tender)? I did appreciated your blog post forrest!